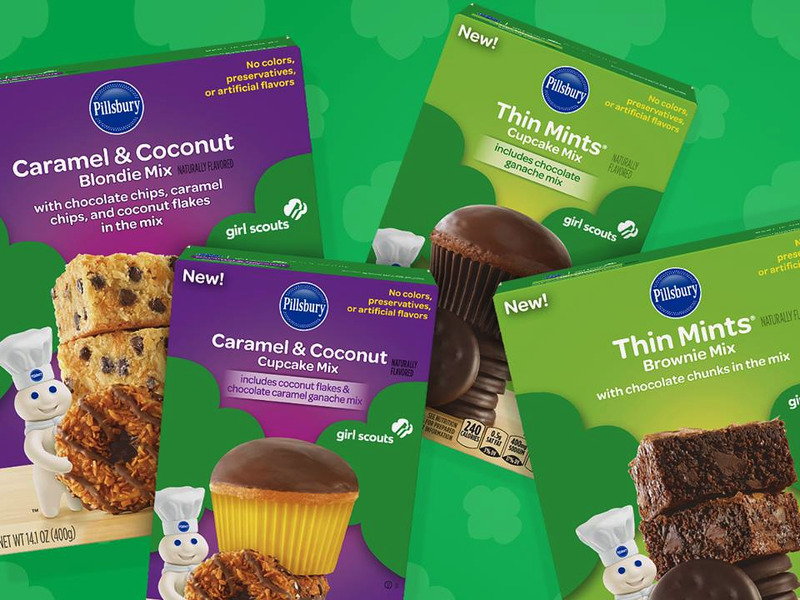 Facebook/Pillsbury BakingPillsbury released a line of Girl Scout cookie baking mixes. Forget hoarding secret stashes of Samoas or freezing your Thin Mints once Girl Scout season is over. Pillsbury partnered with Girl Scouts of the USA to release a line of Girl Scout cookie baking mixes, meaning that you can enjoy your favourite flavours all year round. The collaboration includes four delicious treats to DIY: Thin Mints cupcakes, Thin Mints blondies, Caramel & Coconut (aka Samosas) cupcakes, and Caramel & Coconut brownies. While the new line might not help with our summer bod goals, we’re still excited to find our favourite Girl Scout flavours at our local supermarket.